Trisha teaches students of all ages and levels – beginning as young as six years old, through senior citizens! Some young children may prefer to start with recorder lessons, which will give them a sense of what is expected in private lessons while introducing basic musical concepts. 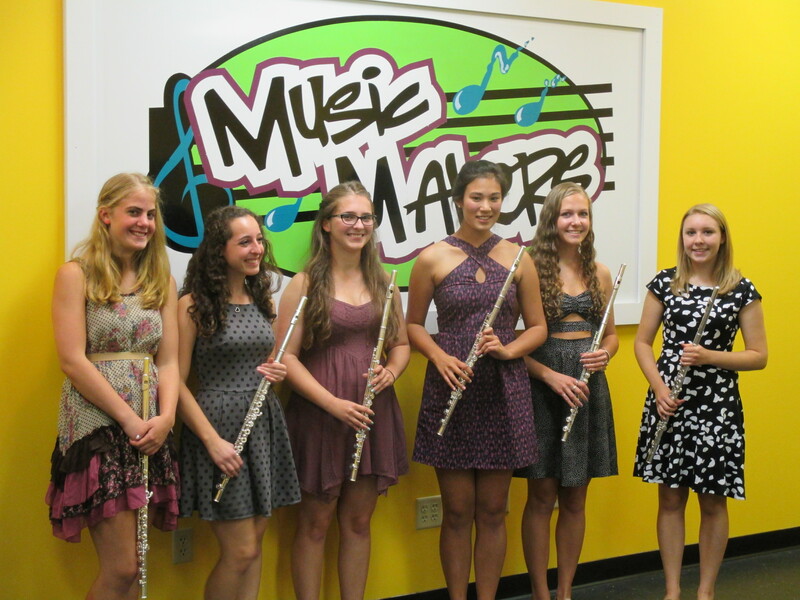 Adult beginners are especially encouraged to give flute lessons a try. It’s a great way to expand your creative life, meet new people, and follow your musical dreams. Trisha’s teaching style is high-energy and detail-oriented, gearing each lesson to the needs and learning style of the student. Definitions and expectations are clearly set out, so students know exactly what to do to be successful and to meet their musical goals. Students who study with Trisha Craig have had great success – from winning awards and scholarships, to playing in regional ensembles, and being accepted to the finest music schools in the region. If you are thinking about private flute instruction, fill out the form below – you’ll hear from Trisha shortly!